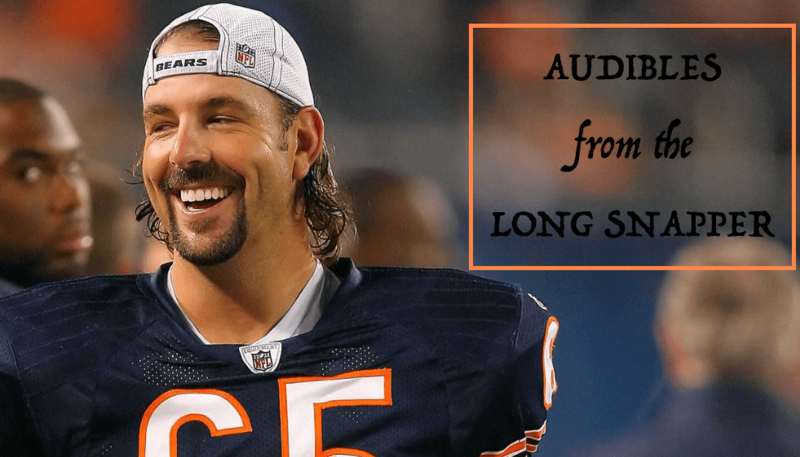 Audibles From the Long Snapper: Jahns, Hoge, Trubisky & Coats! 12. I also only counted two play-action plays — one being Trubisky’s overturned touchdown run and the other resulting in a sack in the third quarter. Bears have to throw on early downs. It doesn’t matter how they do it but they can’t keep running into run looks and expecting better results. 13. Running back Tarik Cohen was on the field for only seven offensive snaps. He dropped two passes to go with his 70-yard reception and a 10-yard catch that was negated by a penalty. If Bears are not going to play Kendall Wright, Cohen has to become the centerpiece of the outside passing game. Treat him like a wide receiver if you must. But keep him on the field. 14. 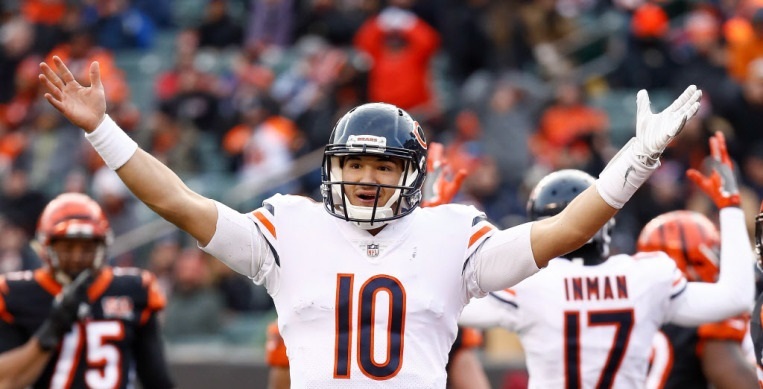 Despite the offensive struggles, there is a positive vibe around the Bears. Players know Trubisky will get better; defense can be special. I do worry how much Mitch Trubisky will develop and improve if he’s not given a chance to take part the game outside of special occasions. Well, at least I get to tell my great-grandkids that I once lost a bet against an NFL team that had 4 completions. Adam Hoge is not an alarmist. So when he opens a column with Kevin White’s early “struggles” there is reason to pay attention. Azzanni was just referring to the three days since pads went on and Sunday’s quiet practice prompted the wide receivers coach to pull out some of White’s tape from West Virginia. White needs two things: (a) sustained game action and (b) success. And I’m a believer that achieving a will directly lead to be b. But tentativity from a player like White is understandable when he must be thinking that every cut in the middle of the field could be the one that ends his season. White’s not going to be confident and explosive on Day 3 in Bourbonnais. The Bears need to hope he is both of those things come Week 8 in New Orleans. There’s a new trend developing with camp coverage across the league. Because media is limited to both what they’re allowed to see and what they’re allowed to cover – Pat Finley has resorted to drawing plays on what seems to be napkins – writers are turning in copy wherein they draw major conclusions from minor moments. Rich Campbell did so yesterday in the Trib, writing about singular moments from Glennon and Trubisky. And I don’t care what Pace and Fox say about Glennon being the starting quarterback. They both know the ideal scenario is Mitch Trubisky winning this job in OTAs and over the summer and making it impossible to keep him off the field. That validates the pick and means the future of the franchise starts now. Make it two: tight end Adam Shaheen and running back Tarik Cohen. Both players face major jumps in competition after playing at small schools. It has seemingly been forgotten that the Bears did have needs on offense. They ranked 28th in scoring last year. They needed more firepower.